So in October I have a four day hut to hut trip in the White Mountains of New Hampshire which I booked through REI. I have never been to that part of the U.S. and I’ve always wanted to go, especially in the fall. I’ve read that the White Mountains are notorious for extreme weather changes. Furthermore, the trails to the summits are rocky, and very steep. To train for this trip I decided to hike on steep, rocky southern California trails. A popular training hike with San Diegans is Mt. Woodson. 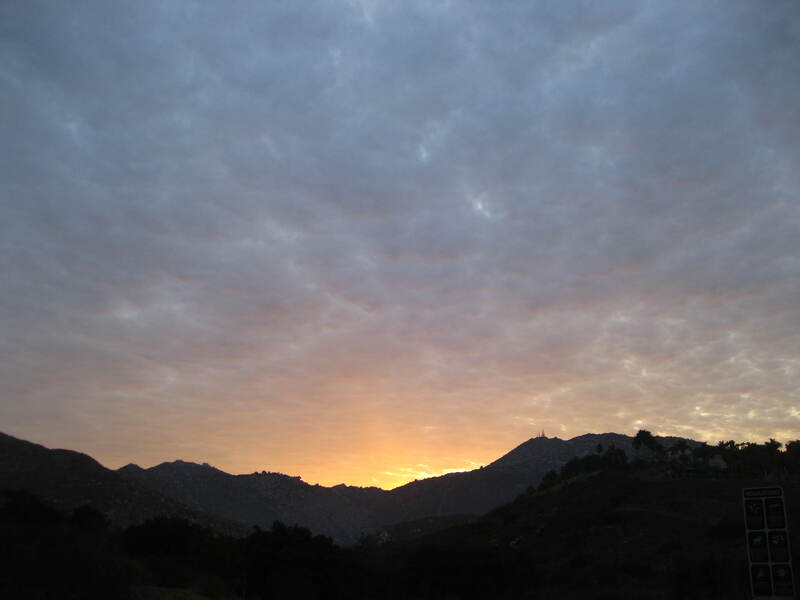 I usually start from Lake Poway, but I decided to start from Blue Sky Ecological Reserve to avoid paying the non-Poway resident fee and to add more miles and elevation gain. It’s been really hot and humid in San Diego County so I left my home really early. I started the hike around 6:45am. Let me tell you, the hike is a lot of going up. But it’s a great conditioning hike. I passed a few hikers on the way up and I also passed a lot of hikers who were coming back down. They must have started at 5:30 or 6:00 in the morning! As always, the views are spectacular when nearing the summit. I decided not to go to the towers as I had been there too many times already. 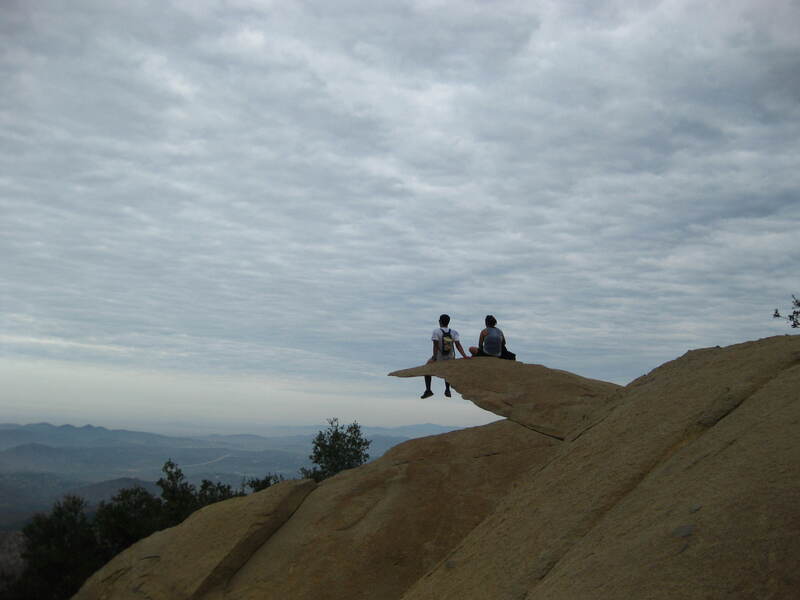 At Potato Chip Rock I turned around and went back down the mountain. Mt. Woodson has become a highly populated hike so if you want to avoid the rush go really early or during the week. Starting from Blue Sky I covered 10 miles with 2,238 ft. gain. Hmm, I think next time I’ll have to do Mt. Woodson twice in one day because on one day during the trip we cover 4,500 ft. in seven miles. Ouch.